We have just published a new study on the spatial relationship between visual and endocranial structures in adult modern humans, chimpanzees, and fossil humans. The survey was conducted in collaboration with Michael Masters from Montana Tech (USA), who previously hypothesized that, in modern humans, the positioning of the orbits below the frontal lobes coupled with a reduced face could result in spatial conflict among ocular, cerebral, and craniofacial structures. This could lead to vision problems, such as myopia. In addition, another study evidenced that eye and orbit dimensions have a stronger correlation with the frontal lobes, rather than with the occipital lobes, indicating that the ocular structures can be more constrained by spatial (physical) than by functional (vision) relationships. In this study we used geometric morphometrics to investigate the longitudinal (antero-posterior) spatial relationships between orbito-ocular and endocranial structures. First, we addressed the the position of the eye relatively to the frontal and temporal cortex, on a sample of 63 modern humans’ MRIs. Second, we addressed the spatial relationship between orbital and endocranial structures on a CT sample comprising 30 modern humans, 3 chimpanzees, and 3 fossil humans (Bodo, Broken Hill 1, Gibraltar 1). The results of the MRI analysis show that in adult modern humans the main pattern of shape variation deals with the antero-posterior position of the eye relative to the temporal lobes. Individuals which eyes are closer to the temporal lobes exhibit rounder frontal outline and antero-posterior shorter eyes, indicating a possible physical constraint associated with the spatial contiguity between the eye and the middle cranial fossa. A second pattern describes the supero-inferior position of the eye, relatively to the frontal lobe. Also in this case, proximity is apparently associated with slight changes in eye form. Individuals with larger volumes of the frontal and temporal lobes tend to have eyes located more posteriorly, closer to the temporal lobe, although with no apparent change in the shape of the eye. These results partially support Master’s hypothesis, suggesting reciprocal spatial patterns influencing brain and eye form. When analyzing orbits and braincase through CT data, the main intra-specific variation among modern humans concerns the orientation of the orbit, not the position. 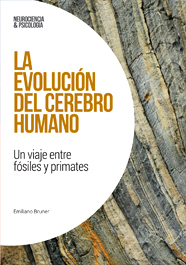 Nonetheless, analyzing humans, apes, and fossil hominids all together, the main differences deal with the distance between orbits and braincase: they are separated in chimps, overlapped in modern humans, and in intermediate position in fossils. In this case, fossils belong to the hypodigm of Homo heidelbergensis. Modern humans are characterized by larger temporal lobes when compared with other living primates, and longer middle cranial fossa. The proximity with the eyeballs due to face reduction can stress further a morphogenetic spatial conflict between orbits and brain. Next step: 3D analyses, ontogenetic series, and vision impairment.